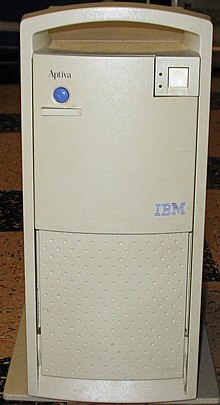 The IBM Aptiva personal computer was introduced in September 1994 to replace the IBM PS/1, and all models included a modem and a standby/hibernation feature referred to as “rapid resume”. The first Aptiva models were based on the Intel 80486 CPU, while later models used the P5 (microarchitecture) Pentium AMD CPUs. All Aptiva’s were developed in-house, except for the later E series which was developed by Acer. The usually sold Aptiva computers bundles included: a monitor, 2 speakers, PS/2 keyboard and PS/2 mouse. While the initial set of Aptiva models came packed with IBM PC DOS 6.3 and Windows 3.1, the later Pentium-based versions came equipped with Windows 95 and OS/2 ‘select-a-system’ (PC DOS 7/Windows 3.1 and OS/2 Warp) on certain available models. Sound and modem functionality was provided on M, A, C and S models by an IBM Mwave, but it encountered several compatibility and performance issues, so they were later replaced with standard modems and sound cards (owners were refunded to purchase the replacement parts as part of a settlement). IBM even decided to take on Microsoft Windows/Office by developing and marketing Lotus SmartSuite and OS/2, but in retaliation Microsoft raised prices, gave a late license for Windows 95 and withheld technical and marketing support for IBM. 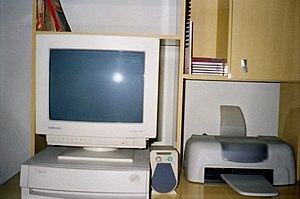 It wasn’t until FIFTEEN MINUTES before the release of Windows 95 on August 24, 1995 when Microsoft granted OEM rights to IBM, and IBM was forced to sell initial releases of their computers without Windows 95; meanwhile Compaq, HP and other companies had Windows 95 on day one. 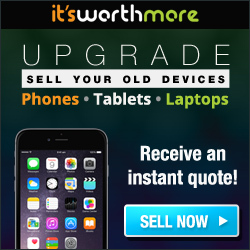 The final Aptiva system was withdrawn in May 2001 without any direct replacement/updated model, as IBM made the decision to leave the personal computing market (sticking with integrated e-commerce and Internet technology solutions), being unable to compete with Compaq, Dell, and HP. Online community-based support for the Aptiva line (the most well-known being Don Schneider’s “DON5408’s Unofficial Aptiva Support Site”) continued up until October 31, 2008 when American Online discontinued its web hosting services. Let’s see. Normally the OEM number would on a (likely Microsoft) sticker that’s located in one of several places: on the tower itself, or on one of the recovery discs/books/documentation (like a “Certificate of Authenticity”) that came with the computer. That’s all I got; hope it helps. i remember seeing an Aptiva for sale in Radioshack when i was 6 years old… that was so cool back then… i loved computers even at that age. This computer was amazing for its time! I too have very fond memories! IBM always did things right! What’s old is new again, thanks for the great memories. I have all of the software for this machine. The CD’s are like new. Loved this machine. Would you be willing to provide images of those CDs to the Internet Archive so we all could enjoy and use them? I am contemplating getting an Aptiva A90 on ebay and cannot find recovery media to save my life. If you get this this, let me know. Next Next post: Do You Like Your Favorite Video Game Characters Refined or Cutesy?